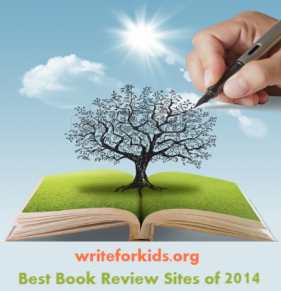 Steve Sheinkin is proving to be the master of the nonfiction narrative for kids. Sheinkin has a knack for bringing in interesting details to paint a vivid picture for middle grade and teen readers. He's done it again with his latest work, The Port Chicago 50. 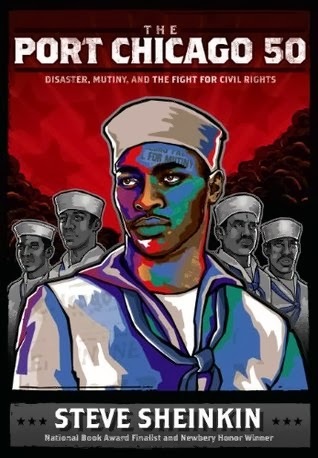 The Port Chicago 50 is a riveting account of how fifty African American sailors were tried for mutiny in 1944. Sheinkin weaves together quotes, photos, and primary documents to detail the injustice and prejudice African American sailors faced in the Navy during World War II. The story is set at the Navy docks of Port Chicago on the coast of California. African American sailors were not allowed to serve on board Navy ships except as mess attendants. Hundreds of black sailors were assigned to load bombs and ammunition aboard Navy ships at Port Chicago. Working conditions were unsafe, and training was not provided. When two ships exploded at Port Chicago killing over 300 sailors during the summer of 1944, many black sailors refused to return to the unsafe job of loading bombs onto ships. Young adult readers will be outraged and surprised by the injustice that followed. Sheinkin's meticulous research is evident; much of the information included in the book came from oral histories conducted with the sailors in the 1970s. The author also pulled out information from a 1,400 page court transcript to describe the Navy trial of the Port Chicago 50. Readers who enjoy The Port Chicago 50 would like Courage Has No Color by Tanya Lee Stone. Read a blog post about The Port Chicago 50 written by Steve Sheinkin for the Interesting Nonfiction for Kids blog.